Wednesday 1st November 2017, 6:30 pm. This BCS Voices discussion evening will focus on how we can transform our world through trust, governance and consent. We will analyse whether it is possible for Scotland to build citizen-centric public services at scale, and for us to build truly smart cities. Some key questions to explore might include: Why do we not vote on-line? Why can’t have a citizen-centric health and well-being infrastructure? Do we trust our government to build a citizen focused infrastructure? How can we secure data in order to build smart cities? If other countries can build trusted on-line systems, what are our barriers? To set the scene, Professor Bill Buchanan OBE will outline his viewpoints to facilitate audience discussions. For some general info on BCS Voices see here. 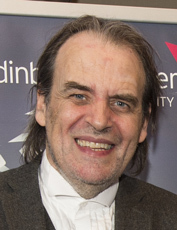 Bill Buchanan is a Professor in the School of Computing at Edinburgh Napier University, and a Fellow of the BCS and the IET. He currently leads the Centre for Distributed Computing, Networks, and Security, and works in many areas including cyber security, e-Crime, cryptography, digital forensics and security risk. He is considered one of the UK's top IT security and privacy experts. Bill regularly appears on TV and radio including appearances on Newsnight Scotland, Good Morning Scotland, and Radio 5 Newsdrive, and was named as one of the Top 100 people for Technology in Scotland for the last two years. Along with this he gives many keynote/endnote talks at conferences, including at NISC 2014 on Heartbleed.